Should I use a Palisades Park Junk Removal Service or a Palisades Park Dumpster Service? also offers demolition service, container and dumpster rentals, demolition equipment rentals and deep cleaning. 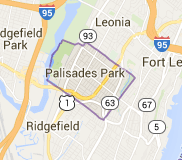 We also have specials for hoarder cleanup and full warehouse or loft space cleanouts in Palisades Park. Just call us at 201-624-1171 to find out more or book online.